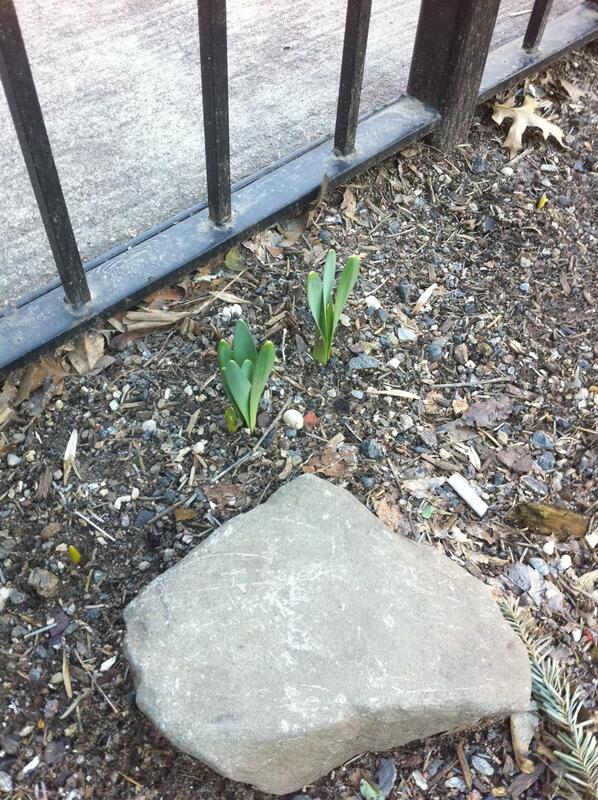 Daffodils popping up in the Brownstone Brooklyn usually mean spring is here, but it is only January! I expect we’ll have a couple big snow storms and a cold snap before spring. 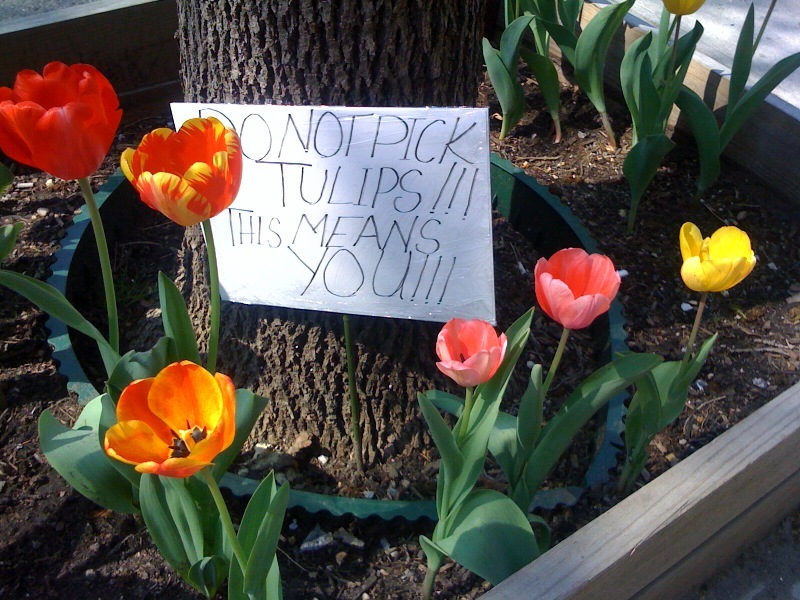 What will happen to the daffodils? I’m Going Over The Top Italian! 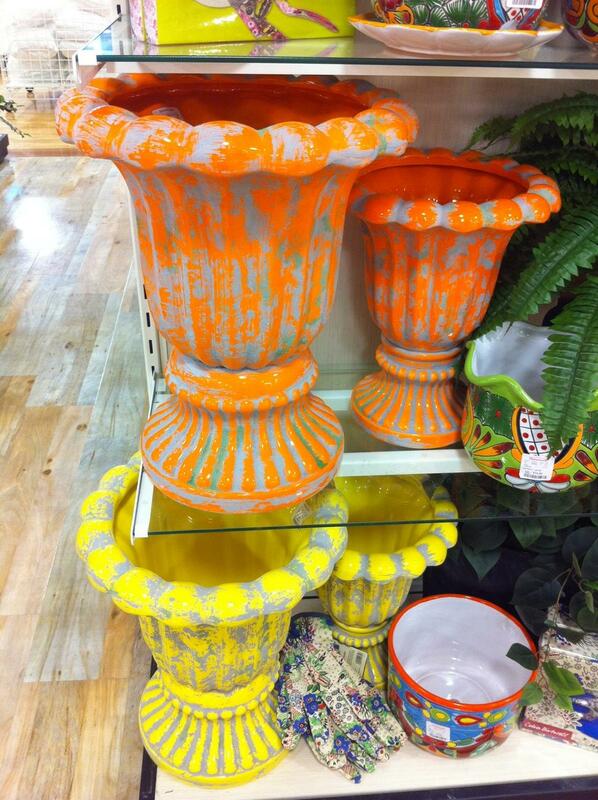 I’m digging these zap of colors from these planters at HomeGoods in Chicago. Kinda fluorescent Tuscan or something? Pipe Music to your Roof Garden? Do you pump jams up to your roof garden? We talked about it for two summers, but never tackled the challenge. This summer, we’ve been loving the wireless Jawbone Jambox on the roof. We send music to it wirelessly via Bluetooth from out iPhone. 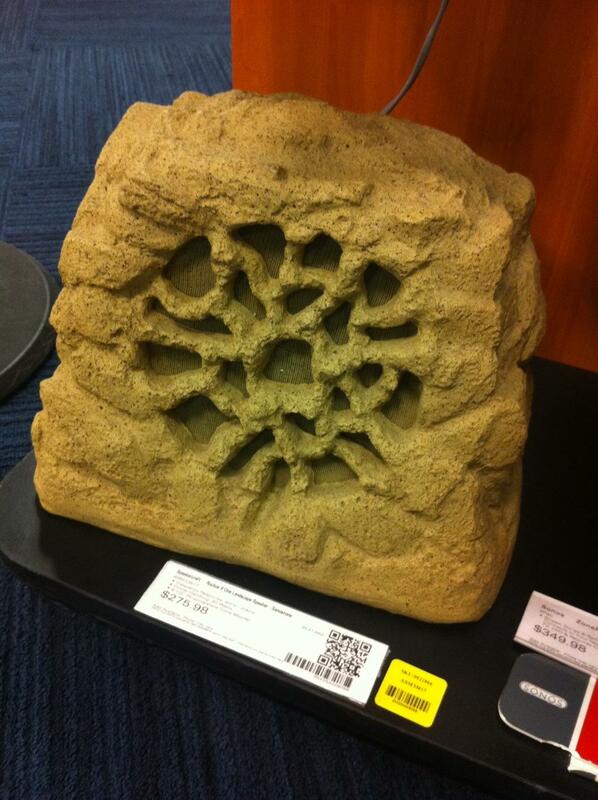 I happened to see this display of white W Hotel looking outdoor speakers and these faux rock speakers of questionable taste this morning at Best Buy. It looks like this can be wirelessly connected to the Sonos system we’re trying to set up downstairs. Sonos is cool for synching the music through the whole place – from living room and kitchen up to the roof all controlled from an iPhone or iPad app. I’m going to keep researching an outdoor sound system. Any advice? My favorite song to listen to up there? Up on the Roof by Carole King, of course. Buena Vista Social Club also feels good up there. 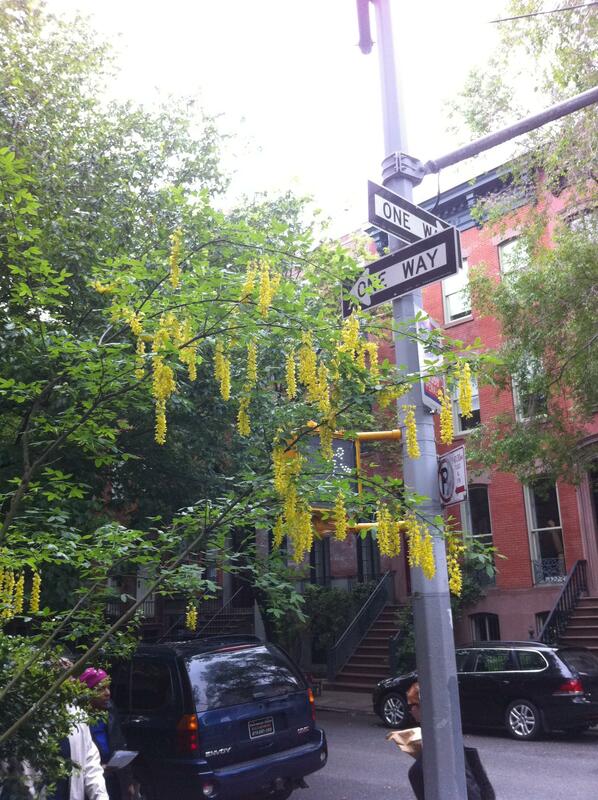 This West Village tree just took my breath away as I crossed the corner. Isn’t it amazing? 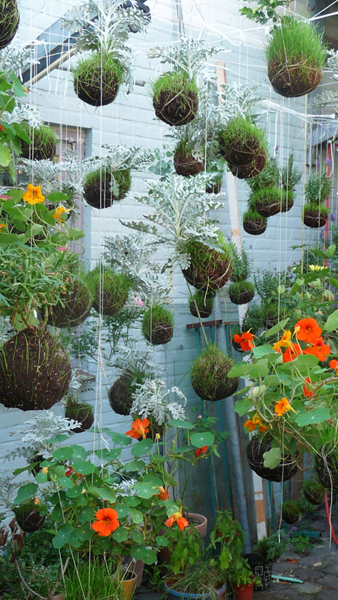 It gives me springy hope to do inspired small-space gardens too. The helpful sign posted under it said, “I’m a Golden Chain tree.” And such a pretty one too! We’re not just roof gardeners. We’re working on our co-op’s stoop and tree pit plantings too. 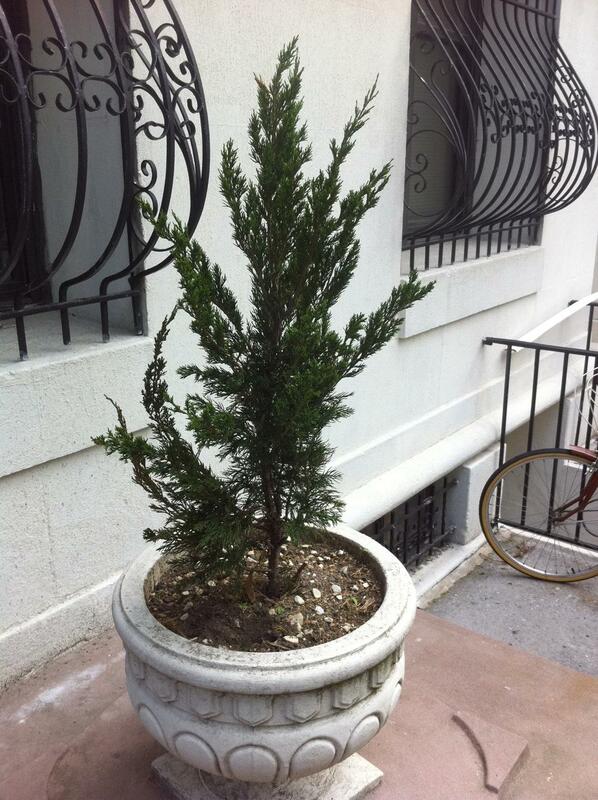 Last fall, we put these small evergreens in. Now I think we need a little something for under the trees. It will need to be small, sturdy, and pretty unobjectionable to all the neighbors. We’re going to water them, but it will probably only be one or two times a week. I’m hoping you have some suggestions for us. Thanks! Yeah, yeah, I know. Unfortunately, this is not the most practical concept for a roof garden. Under the blazing August sun, you’d need to water these every five minutes. Still, this photos and the others on stringgardens.com are perfect inspiration on a cold, gray morning in Brooklyn [discovered via Apartment Therapy].